Made entirely by hand in Lecce’s papier-mâché, with head, hands and feet in earthenware according to the classic tradition of Lecce. 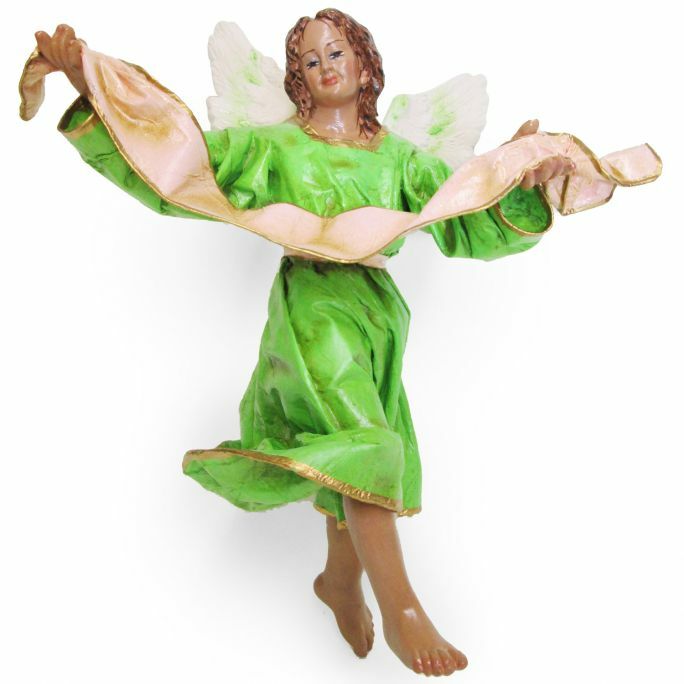 Part of the Salentine Baroque, this angel follows the tradition of the papier-mâché from Lecce. The photos are only explanatory, being made by hand each piece is unique and it is possible to request different color and shapes in the notes. If not allowed it can be reproducible in 30 days, never identical.